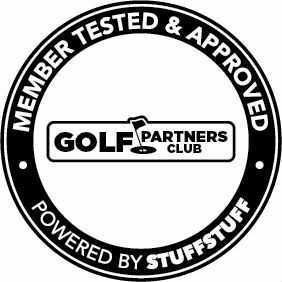 We are excited to announce that 100 members of the GOLF Partners Club endorsed GOLFSTR+. The Golf Partners Club is one of seven affiliate organizations with over 400,000 members participating in programs offered by the North American Media Group (NAMG Inc.). 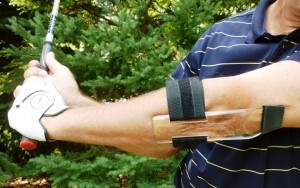 They recommended GOLFSTR+ as a golf training aid that will lower your score. -Comment about your experience with it. I gained most from the “flat wrist” use #2 and #3 and the back swing lag trainer #5. The other two relied on feeling the trainer come loose from the touch point and memory aid. While I could identify in a slow speed test, I personally found it hard to feel in a regular speed. I will keep trying as I know I bend my arm somewhat in the back swing on drives. It does what is says it does! A little uncomfortable at first, but it is to be expected since it takes you out of your comfort zone. During my first bucket of balls, I was hitting straighter than I have ever hit. Within a few buckets of balls after using the product, I removed the Straight Arm Trainer and was hitting much straighter, adding 20+ yards to my drive. I can’t wait to get back out on the course! My friends like it, and after letting them try it, they want to buy it! I achieved longer distance, really helped on fairway iron shots too. Great for the weekend golfer who cannot afford a golf coach, teaches memory for the right arm position. Overall a great product and still using it after 10-15 rounds of golf. Product fits comfortably, easy to understand directions. This product was easy to use. Did not take long to figure out and helped me with my golf game.As a novice golfer it helped me with form. My friends were very surprised at how much better I was able to hit the ball using this product.They were considering purchasing this product. Excellent product. I really like the versatility of use in this product. For a new golfer, this will definitely lower the amount of frustration caused by improper arm position. My neighbor and I share a massive empty lot across from our houses and frequently hit balls into the field. He was impressed enough to borrow it to help with his daughters swing. Ease of use, comfortable design/fit. I was skeptical about this product. There are so many golf aids that promise a better straighter further shot. However I found with this product that even though it didn’t keep your arm straight for you it definitely made you aware when you weren’t keeping your arm straight. I tried this on two rounds of golf. The second round I didn’t use the product but I found with every shot I was more aware of my arm being straight then I had ever been before. In my case I lost only one ball for an entire round, and even though I am still not ready for the pro tour, more than 90% of my shots were straight. It was a huge improvement for me. I was very pleased. The ease of use and the overall quality of GOLFSTR was outstanding and this product is one that actually works and is not a scam like the rest. I personally recommend this product to anyone who wants a durable golf tool that will last for years. This product will easily shave strokes off of your daily game. My family and friends thought this product was revolutionary. The overall experience was phenomenal. This is a great tool for golfers with any level of experience who need that reminder to keep their lead arm straight in the backswing. It’s simple but does not force the movement or lack of it. It teaches the user to think and react. I would recommend this product to a mid-level handicap golfer because it works best as a very subtle reminder during your swing. Makes you aware of going too far back on the backswing. Stopped me from breaking my wrist when putting. Adjustable so my girl was able to use it. I would recommend it because at the driving range and putting green it gave me a more powerful and controlled swing. I was actually hitting the ball straighter more consistently then before. My girl was happy to know what she was doing wrong and also happy that she was hitting the ball better. Helped me work on my “chicken wing”. I have been trying to address my “chicken wing” swing for some time now. This is the best product that I have found on the market! It’s small in footprint and easy to carry in my bag. I can pull it out almost anywhere. It really does keep my arm strait and really improves my swing. I can’t think of a better way to design this specific device. It’s great! It really does work and it really gives you a better swing. My family and friends thought it looked pretty cool. It improves your accuracy a great deal and gives you some more distance. Helps you hit it straighter and further I would definitely recommend it. I loved its ability to break down to be stored in the golf bag. It is not bulky. In addition, the various fitting options it offers, whether for chipping, the drive, iron play, or putting makes it adaptable for any player for any area of concern. It is important to note that this product does indeed let you know if you are over-extending, breaking wrists or elbows, etc…as it claims. It doesn’t keep you from doing these things…just give you a reminder or awareness that it is occurring. I would definitely recommend the Straight Arm Trainer to anyone looking to improve their swing. It will definitely teach you the proper feeling of what you should feel when you preform your golf swing. I think this product is a good training aid for putting and chipping. 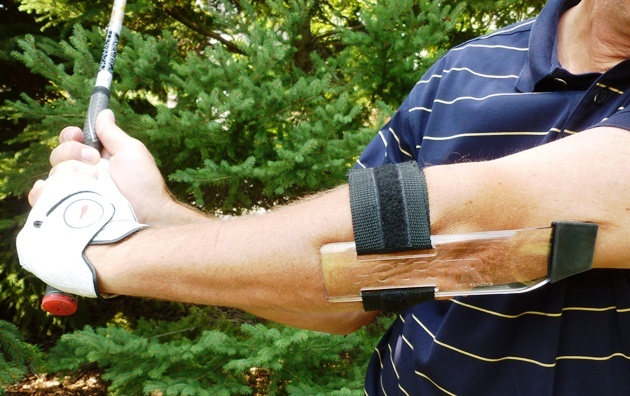 Firmness assists with Backswing and Straight Elbow memory reminders. Helps to identify the proper stop in backswing and how to keep the wrist flat for more consistency. Price is cheaper than lesson from pro – but should not be substituted for professional lessons. Use it for reminders for proper backswing and wrist location applications. At first I got the skeptical looks from the friends but results let them rethink how it has helped me with the lag and with backswing control. It is an aid and should be considered as a supplement to lessons – needs to be used several times for the product to pay off. My driving accuracy went from 38% to 50% after 1 week of practice. They loved the fact that it can be worn on either the right arm or left arm. This product is a ‘must have’ to improve your shot direction. Easy to put on and can be carried in my golf bag. Doesn’t get in the way of playing a round of golf. I would recommend using this product based on helping with keeping my arms straight during the critical part of the golf swing. The rubber tip touching the back of the arm is a reminder to keep your arm straight during your backswing. The only issue I had was it was a distraction at first as I was focused on making sure the rubber tip kept touching my arm all the time. The more I used it the more I got use to it the better I hit the ball. I will carry the trainer in my bag to use from time to time to check myself. It definitely has improved my golf swing. Easy to use, instant feedback, small and light to carry around. My mother, who was the beginner I gave it to thought it was useful to help her feel the proper positions i.e. when she let her wrist break down during chip shots. I think the best use was for chipping. I liked the ease of how to put it on and so many uses from full swing to putting. Loved it for the multiple swing faults corrected with single product and it’s well constructed. I’m recommending this product. It is easy to use and addresses multiple swing problems. GOLFSTR is small, easy to store in golf bag. MANY MORE TO ADD WHEN I HAVE TIME.